Austria: a threat to EU values? How much of a threat will Austria’s new chancellor Sebastian Kurz and the government be to the EU? 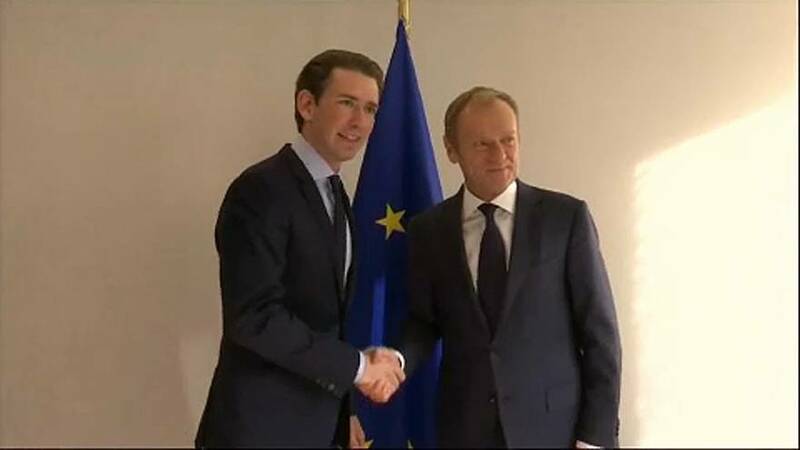 A coalition of Kurz’s conservative People’s Party and the anti-immigration Freedom Party has seen it become the only western European country with the far-right in power. “It’s clear that for the current Austrian government a tougher stance on immigration is a very important priority, that’s what largely binds these two parties in the government,” said Dave Sinardet, from the Free University of Brussels. Austria was swept up in Europe’s migration crisis in 2015 and plans are afoot to curb benefits for refugees. All this, as the EU’s approach to the far-right is debated. “It seems to suggest that the EU only has a problem with far right parties governing in member states when they are anti-EU and that they certainly don’t have a problem with the far right parties anymore, when they are pro-EU,” commented Sinardet. Its president not ruling out sanctions, if EU values are threatened. The last time the Freedom Party – founded in the 1950s by former Nazis – came to power there were mass demonstrations. Not this time, with Europe home to a very different political landscape.